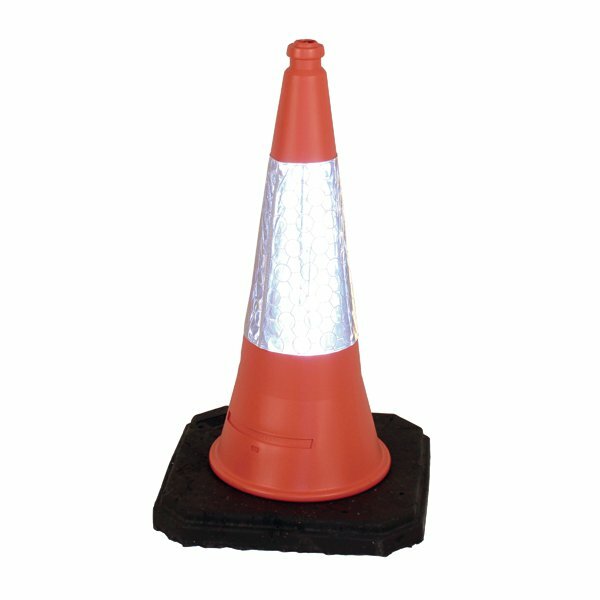 Ideal for temporary positioning on roads or paths for traffic control, these sturdy cones have a sealed base filled with sand. This provides extra weight and makes them harder to knock over. The reflective sleeves offer exceptional head-on reflectivity from car headlights and are designed to last twice as long as comparable reflective materials. This pack contains 1 red traffic cone measuring 1000mm.